Arnait Video Productions, Production shots from Before Tomorrow, 2008, © Arnait Video Productions. Courtesy of Arnait Video Productions. Arnait Video Productions, Tia and Piujuq, 2018. Film Still. © Arnait Video Productions. Courtesy of Arnait Video Productions. Arnait Video Productions, Tia and Piujuq, © Arnait Video Productions. Courtesy of Arnait Video Productions. 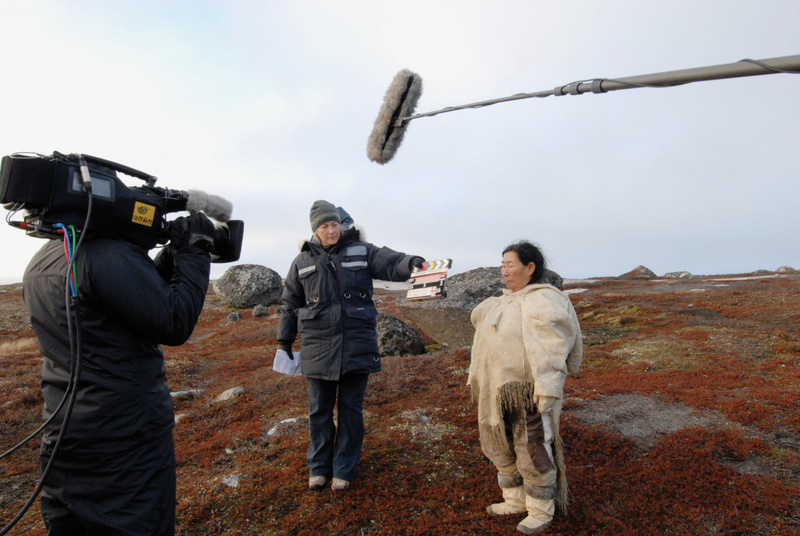 Arnait Video Productions is a dynamic collective of women filmmakers from the Arctic whose films speak directly to the lives of its Inuit and non-Inuit members. The sheer endurance required to realize these video documents testifies to the importance of Arnait’s collaboration and the value of its work. The collective has a loose collaborative model with members taking on various roles over the years. 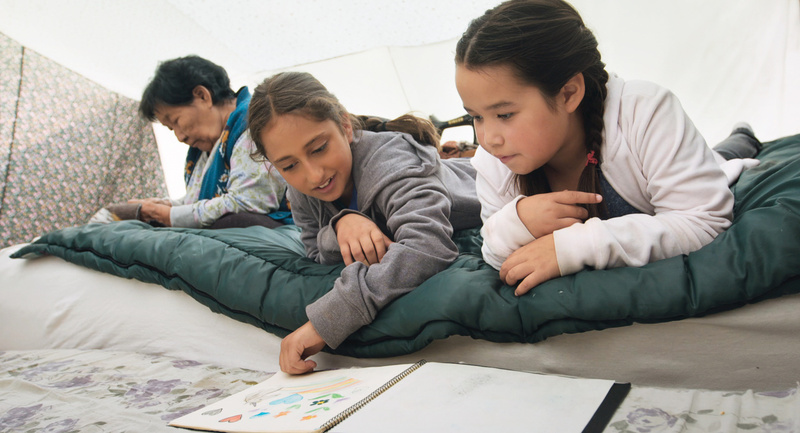 It was founded in Igloolik in 1991 by Madeline Ivalu, Susan Avingaq, Martha Makkar, Mathilda Hanniliaq, and Marie-Hélène Cousineau. Other women who got involved in various ways include Mary Kunuk, Atuat Akittirq, Carol Kunnuk, and Alethea Arnaquq-Baril. Lucy Tulugarjuk is the new president of Arnait. 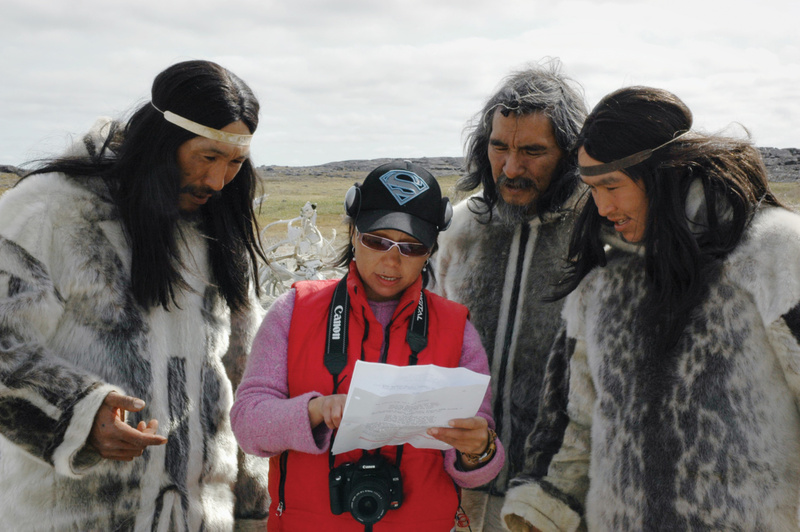 Arnait’s original name in Inuktitut, Arnait Ikajurtigiit, means “women helping each other.” Its works are uniquely collaborative and produced from a fiercely female perspective: investigatory and tender at the same time. The collective explores time-based art in the broadest possible definition, from hand-making objects using traditional methods to producing digital art. In taped interviews, reenactments, feature films, experimental animations, and multi-episode documentaries, Arnait has rendered the possibilities of moving images as seemingly limitless. The filmmakers’ subjects are equally broad: Inuit tradition, self-determination, children, family, intergenerational learning, and new ways of communicating and being together across the geographic distances and cultural differences between North and South. 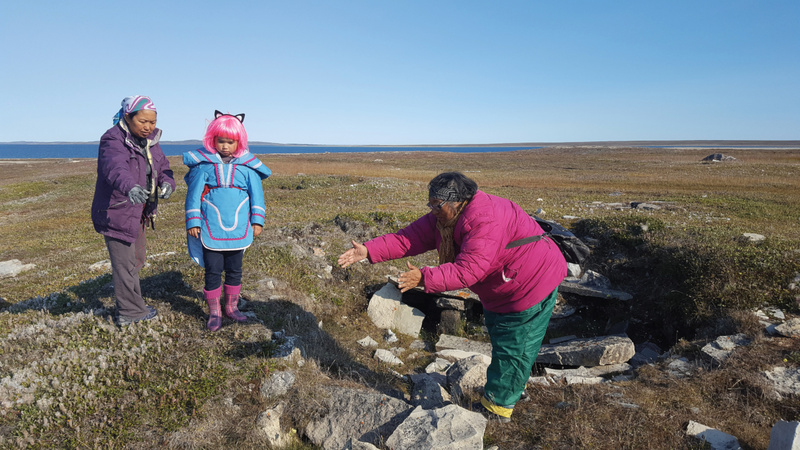 They also address difficult contemporary issues affecting post-contact Inuit life, including suicide, mental health, racism, addiction, and the environmental destruction resulting from resource extraction in the North. Premiering at AGYU, the new work in the exhibition, Igalaaq/Seeing Through (2019), shows hope. 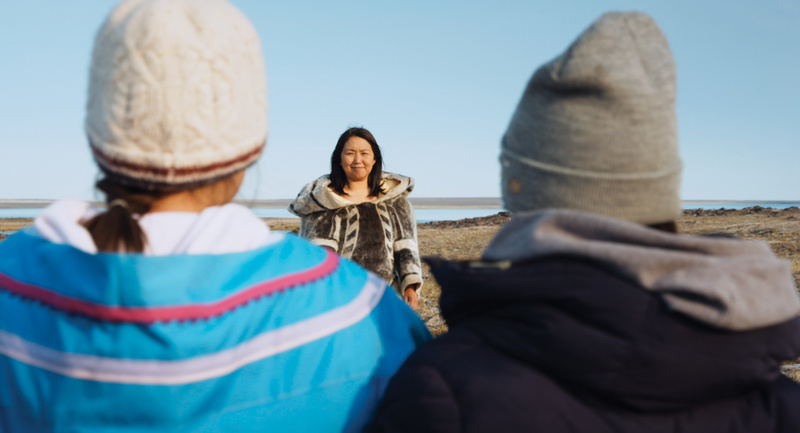 Bringing innovation and tradition together and facilitating communication between North and South through the use of video chat technology, Igalaaq literally is a portal for collectively stepping into the future. The originality of Arnait’s works is rooted in efforts taken to create a production process in harmony with the lives of the women involved in each project. The collective’s production values reflect the cultural values of participants, such as: respect for Elders, hunting and fishing seasons, traditions belonging to particular families, and community events. They work as a team to write each script, to make the costumes and props, and to shape the interaction and performances of the actors. Demonstrating strength, grace, humour, and resilience, the works in Arnait Ikajurtigiit: Women helping each other offer a model of learning by doing. Arnait’s rare and urgent collaborative working model is useful for everyone at a time when Indigenous-settler relations in Canada, and North-South relations in North America, are deeply strained. 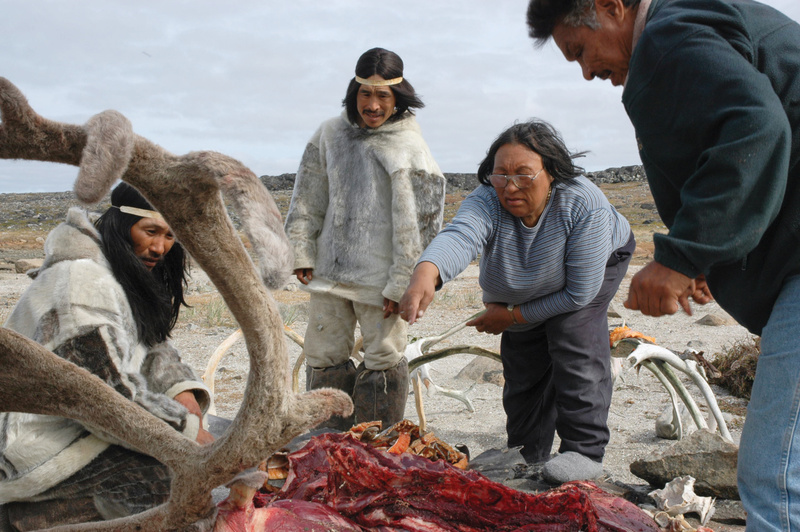 In spite of the ever-growing influence of Western culture, Inuit people today continue to thrive through adaptation that brings together innovation and tradition. 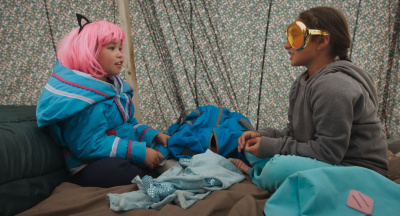 Seen from the perspective of women of Igloolik over three decades, the works in the exhibition (including film, objects, and photography) show the continual change inherent to Inuit life. Throughout, intergenerational teachings hold strong.